For nickel-based batteries (NiMh or NiCd), the battery performance will decline mostly because of crystalline formation. caused by partial discharging and, sometimes, poor charging. increases resistance within the cell and causes the battery to seem empty before it really is. will often do the job. 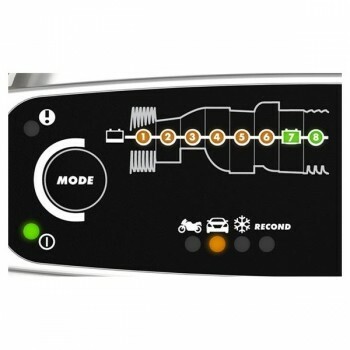 Modern battery chargers use fancy technology and sensors to look after the batteries in their care. For small batteries, the ideal charger will have “negative delta v cut-off” and temperature sensing. into float mode (minimal pulses to maintain a battery at peak power). and flashing lights to entertain you. Importantly, either you or the charger should know what type of battery you are charging and react accordingly. gel (13.8v and 13.2v respectively will work nicely), AGM (14.4v and 13.8v) or flooded/wet cell (14.8v and 14.2v). cost you more than a new charger would have done. I am in favour of this method. You could have gone home and got them. Clever headline I see what you did there. The Cow alternative charging method is much easier and simpler. Use it and charge it whenever you want and replace the battery when its f#cked. 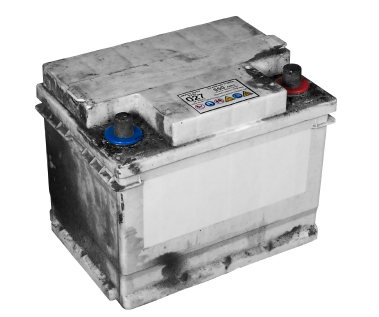 Actually, you could last a lead acid battery for over 20 years or more. Problem is that in a car the voltage is never allowed to go high enough to solve all the sulphate cristals into the acid. Try charging one outside the car with a charger which is not voltage-controlled (like the old chargers often are) and monitor the voltage. It will peak out at 15.x to sometimes 16.x volts and then go down to a 14 or 15 v. When that is achieved, all sulphate is vack into the h2so4 solution. This web site needs help. I go to ssearch for boxer dogs and get a page of ? I get to Tommy and get another page unrelated. ^ A google search of TD is usually better than using the forum search function. You can add more keywords. And for Tommy's "Boxer dog puppies for sale" thread, there is a Quick Reply area at the bottom of the page - for me anyway. Battery on one of the work truck, failing . Would not start when the battery is hot. Reluctantly starts if left for 45mins to 1 hour. It is manual so can be push started. No hi-tech charger solutions. Removed the battery sent one guy on a mocy. He came back with a new Panasonic maintenance free battery 2000 Baht (with credit for old casing) . It was over 5 years old. I am not sure it is worth all the hassle of fancy chargers and , and ,and. Last edited by VocalNeal; 11-05-2018 at 10:20 AM. Just a few points that most of you probably know about jump starting a car with a dead battery. If it's really dead, wait 5 minutes with the good car running. A little extra gas given on the accelerator pedal will help charge the dead battery faster. When hooking up the cables, always touch the last cable (the negative, or black on the dead car) with your head turned. Don't buy the cheap jumper cables. You need thick ones. If you have the cheaper, thin ones, you'll probably notice how hot they get. That's inefficiency beling lost to heat, instead of transerring to the bad battery. Of course: Never touch the red and black ends together. Big sparks, ruin your battery or voltage regulator. Can't think of a forum search function yet that I'd green.